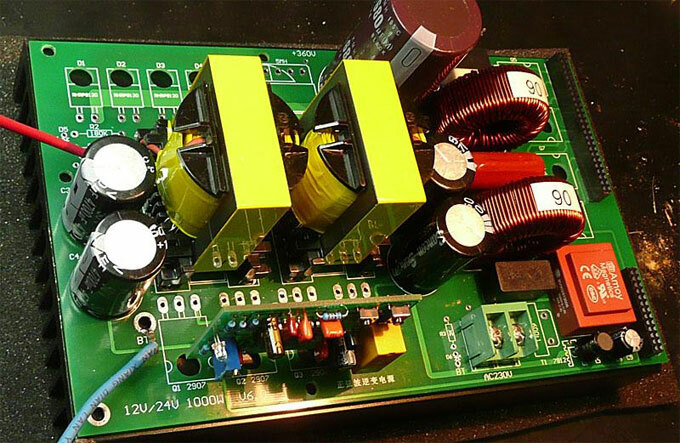 The main circuit of the car power inverter devices have driven tube SS8550, KSP44, MOS power switch IRFZ48N, IRF740A, fast recovery rectifier diode HER306 and PWM control chip TL494CN (or KA7500C). SS8550 is TO-92 packaged in the form of the PNP transistor. Its pin electrode identification method is that, when facing the transistor surface printing logo, pin 1 is the emitter E, 2 for the base B, 3 for the collector C.
And TO-92 package SS8550 form corresponding to the surface-mount device model S8550LT1, which is packaged in a SOT-23. SS8550 is currently on the market is more common, easy to buy the transistor, the price is relatively cheap, only about one-price only $20. KSP44 is TO-92 package in the form of an NPN transistor. Its pin electrode identification method is that, when facing the transistor surface printing logo, the pin 1 is the emitter E, 2 for the base B, 3 for the collector C.
KSP44 is commonly used in high-voltage transistor telephone when KSP44 damaged and cannot buy, can be used in conventional fluorescent lamp circuit transistor KSE13001 be substitution. Main parameters for the BVCBO=400V, BVCEO=400V, ICM=100mA, PCM=0.6W, hFE=40~80. Although the package KSE13001 the same as the TO-92, but it was sort of pin electrodes and KSP44 different, it should pay special attention when substitution. Recognition KSE13001 pin electrode is that, when facing the transistor surface printing logo, the pin electrodes 1 for the base B, 2 is the collector C, 3 is the emitter E.
IRFZ48N is TO-220 packaged, the form of the N-channel MOS-enhanced fast power switch. Sort 1 pin electrode is a gate G, 2 drains D, 3 for the source S.
When IRFZ48N damage cannot buy, the available packages and pin-electrodes in exactly the same sort enhanced N-channel MOS switch IRF3205 be substitution. Its market price was only about $20 each. IRF740A is TO-220 packaged, the form of the N-channel MOS-enhanced fast power switch. Sort 1 pin electrode is a gate G, 2 drains D, 3 for the source S.
When IRF740A is damaged and cannot buy a new one, the available packages and pin-electrodes in exactly the same sort enhanced N-channel MOS switch IRF740B, IRF740 or IRF730 be substitution. IRF740, IRF740B main parameters are the same with IRF740A. Wherein the parameters of IRF730 and IRF740 series, though compared to slightly worse, but for the following 150W power inverter, its parameter index is more than sufficient. HER306 to 3A, 600V fast recovery rectifier diode reverse recovery time Trr=100ns, available HER307 (3A, 800V) or HER308 (3A, 1000V) performed substitution. For the following power 150W car inverter, which can be fast recovery diode HER306 BYV26C or most likely to buy the FR107 be substitution. BYV26C as 1A, 600V fast recovery rectifier diode reverse recovery time Trr=30ns; FR107 is 1A, 1000V fast recovery rectifier diode reverse recovery time=100ns. Reverse recovery time from this device parameter index considered, the choice BYV26C when substitute more appropriate. TL494CN, KA7500C for the PWM control chip. 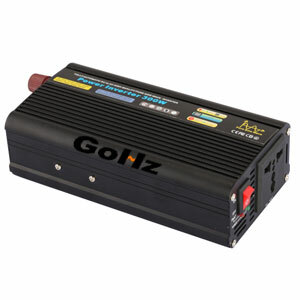 To present a variety of car inverter to analyze the products on the market can be found in some car inverter products are used in two TL494CN chip, some use two KA7500C chip, there are two of each chip using a even more bizarre is that some products actually trick, which will be a TL494CN or KA7500C identification chip was polished, and then marked with a variety of odd chip model, so that maintenance personnel feel confused. 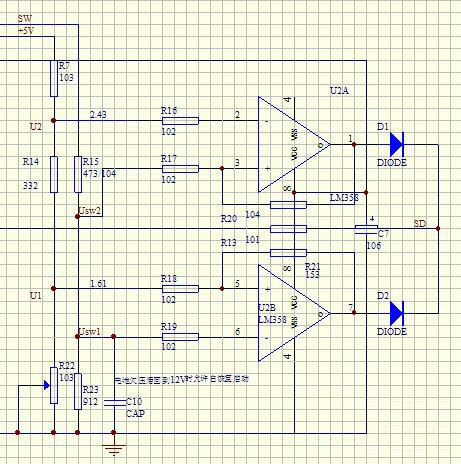 In fact, as long as the peripheral circuit control chip, a look, we know that the chip must be used TL494CN or KA7500C. After careful inspection, contrast TL494CN, KA7500C two chips original pdf data and found that the two external pins arranged in the same chip, and even its internal circuit is also almost identical, the only difference is two chips shipped inside amp input reference source size a little bit different, does not affect the functionality and performance of the circuit, so these two chips can be used instead, and when the substitution parameters of the peripheral circuit chip does not have to make any changes. The practical use of the process of successful substitution experience, also confirmed the feasibility of such a substitution after substitution circuit performance and reliability. Since the market has been difficult to find a KA7500C chip, and even be able to buy, its price is at least twice more than TL494CN chip. So, the use of direct substitution TL494CN presented successful experiences and methods KA7500C chip for car power inverter manufacturers and maintenance personnel are indeed good news.